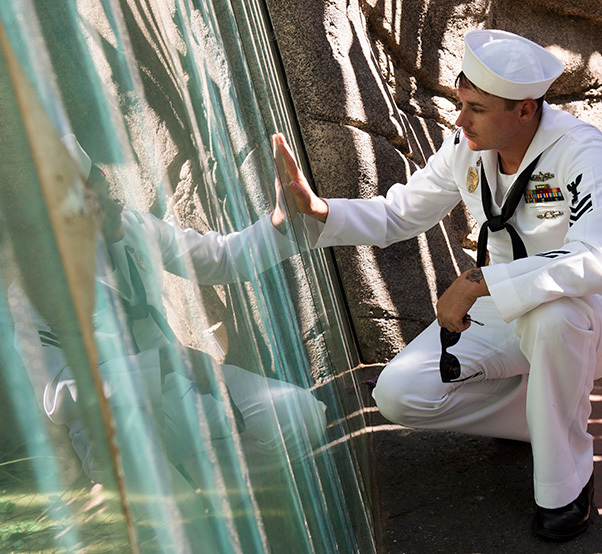 Mineman 1st Class Josh Garza, stationed aboard the Avenger-class mine countermeasures ship USS Scout (MCM 8), from Lancaster, Calif., observes a gorilla at the LA Zoo during the second annual Los Angeles Fleet Week. LA Fleet Week is an opportunity for the American public to meet their Navy, Marine Corps and Coast Guard team and experience America’s sea services. During fleet week, service members will participate in various community service events, showcase capabilities and equipment to the community, and enjoy the hospitality of Los Angeles and surrounding areas have to offer. 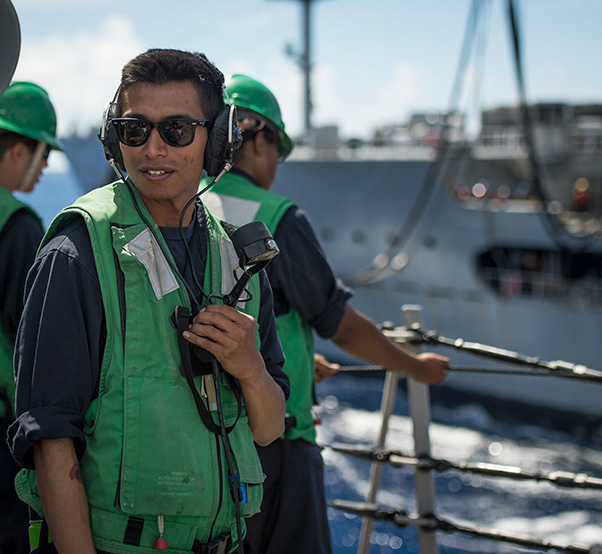 Fire Controlman 2nd Class Edilberto Tapiaavila, from Lancaster, Calif., assigned to the Arleigh Burke-class guided-missile destroyer USS Chafee (DDG 90), operates a sound-powered phone during a replenishment-at-sea with USNS Pecos (T-AO 197). 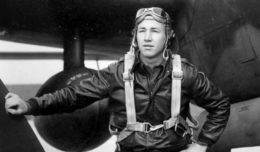 Chafee is part of the U.S. 3rd Fleet and U.S. Naval Surface Forces, currently deployed to the U.S. 7th Fleet area of responsibility on a routine scheduled deployment. The forces of both fleets complement one another across the spectrum of military operations in the Pacific.